You don't get many better places to spend summer than our location in the heart of South Somerset - when the weather is nice the countryside comes alive in the summer sunshine. While it's the perfect season to explore the great walks the local area has to offer, the summer also brings a fantastic list of events right on our doorstep. One of the events we love each year is the Retro Fundraising event. 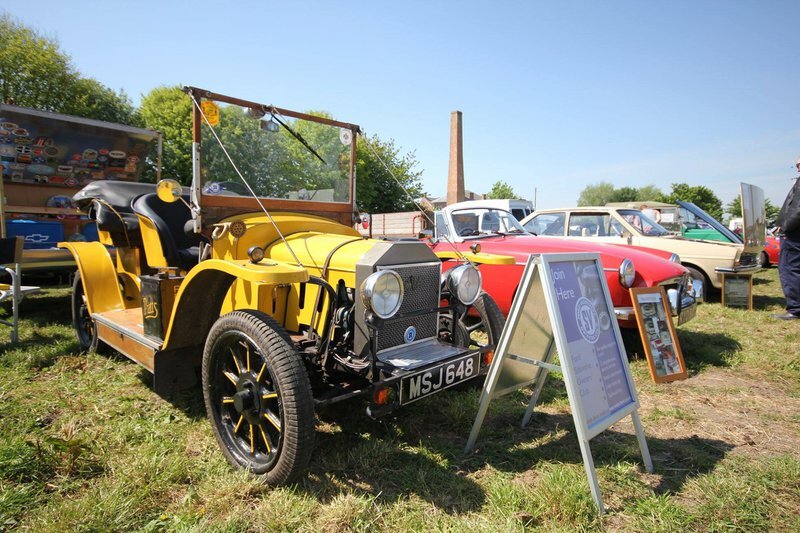 Only a stone's throw away from our campsite, this show on the first Sunday of July sees over 300 unique retro vehicles tour round the villages of South Somerset, before arriving at the Retro Fundraising show. Here you can admire the cars while enjoying the fully licensed bars, food, stalls and entertainment. Since 2013 the not for profit event has donated over £32,000 to worthy local causes. As the official campsite we've been working closely with them, and many of the vehicles will be gracing our campsite over the weekend. We hope to see another great event this year. Another big day in our calender is the Royal Navy International Air Day. Taking place in nearby Yeovilton, the five hour flying display draws over 40,000 people each year. Visitors can also enjoy attractions on the ground, with everything from defence technology exhibitions to fairground rides and simulators. It takes place on Saturday 13th July and promises to be another spectacular show. It might not be Glastonbury, but our pick of the many Somerset music festivals is the Somerstock Music Festival. Held in nearby Somerton, this small independent music festival is a showcase of local up and coming talents during the day and is headlined by the incredible Toploader. With three stages and many bar and food stalls, it's the perfect place to enjoy some local Somerset cider while listening to music in the sun. If a weekend away from stress and worry sounds as good to you as it does to us, then we can't recommend the Taunton Feel Good Festival enough. A two day event held on the 11th and 12th of May, this two day wellbeing event promises a weekend of happiness, wellbeing and inspiration. It's got everything from live music and other entertainment to mindfulness and relaxation sessions. Of course, there's also a variety of food and drink, including a tea room, a smoothie bar, and a gin and prosecco palace. Our final pick of the local events is Steam on the Levels 2019. Held at the Westonzoyland Pumping Station Museum, home to Somerset's earliest steam-powered pumping station and now housing the largest collection of stationary steam engines and pumps in the South of England, this weekend event celebrates some of the best of local history. Across the weekend there will be a range of unique historical exhibits, from steam engines and classic vehicles to living history events. These are just a selection of the great events held near us this summer. All of them are easily reachable from our campsite in Martock, Somerset, making it a good base to explore the best of the local area from. For more information and bookings, have a look at our website. With a choice of accommodation from large grass and hardstanding pitches for your own tent or caravan as well as our fabulous static caravan hioliday homes, we hope to see you over the summer! Have a look at our booking page for up to date availability and to secure your accommodation now.